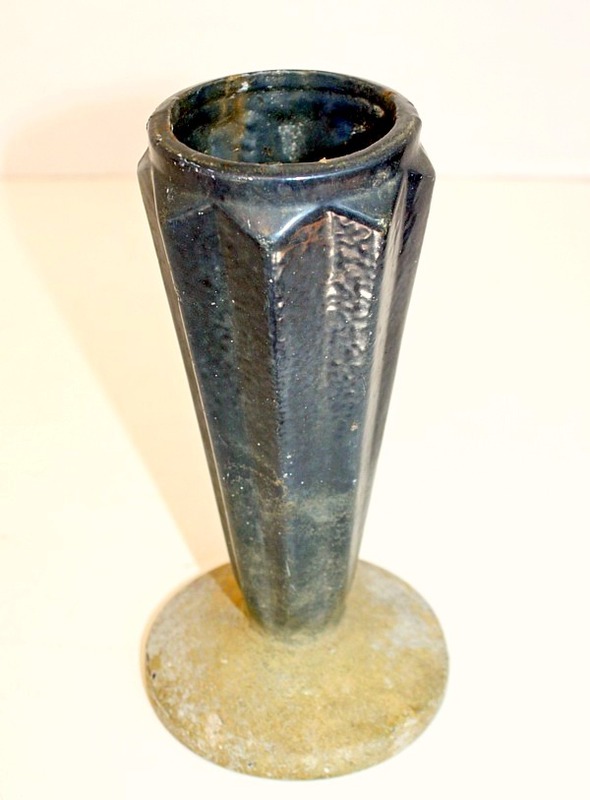 Fantastic Art Deco Vase from France, enamel over heavy Cast Iron, in French Blue. Bought in France, very heavy, absolutely stunning. Beautiful 1920's design with ribbing, great classical and elegant shape. Exquisite finish and patina, signs of wear to the finish, just exactly what you want if you are looking for the real thing. Often used graveside in a French cemetery for a loved one's weekly floral tribute, or a funeral, a sculptural piece of art. Display on your mantel, on your desk for your collection of vintage fountain pens, top with a moss ball as a decorative accent in your home. Measures 3~1/2" x 8" high.